King Mumbere Is Struggling With Diarrhea In Prison, Tabloid Claims! Howwe.Biz just got word that RED PEPPER spoke to Nalufenya prison doctors and they told them something shocking about the current health state of King of Rwenzururu. 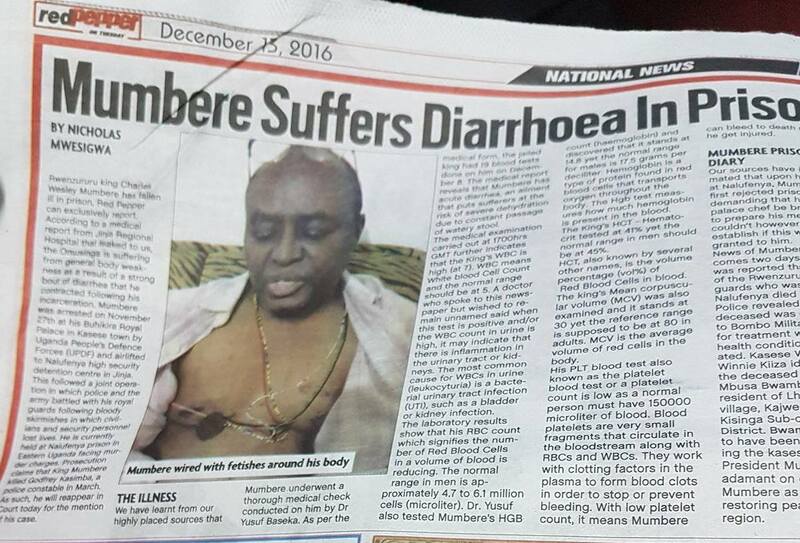 They claim that King Mumbere is suffering from non-stop diarrhea.